In 1931, 24-year-old Frida Kahlo and her husband Diego Rivera moved to San Francisco for Rivera’s commission of the Pacific Stock Exchange Mural. 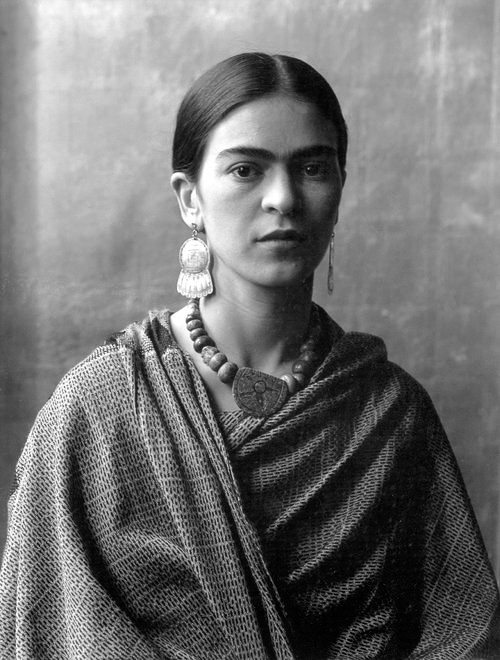 During this time, through mutual friends in their artists circles, Frida connected with the prolific female photographer Imogen Cunningham who asked to photograph the painter, known more so at the time as the wife of Diego Rivera. 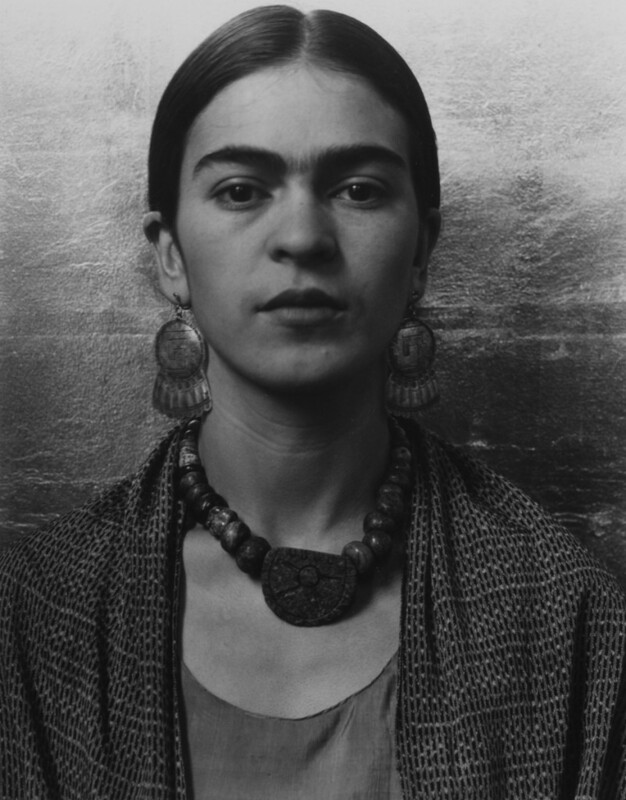 Last year the Heard Museum in Phoenix, Arizona brought to the valley the exhibition Her Photos – a lifetime of photographs of Frida Kahlo, one of the most famous female painters to ever live. Now through August, the Heard is once again featuring the photographs and paintings of Frida, this time alongside her artist husband Diego Rivera’s work. 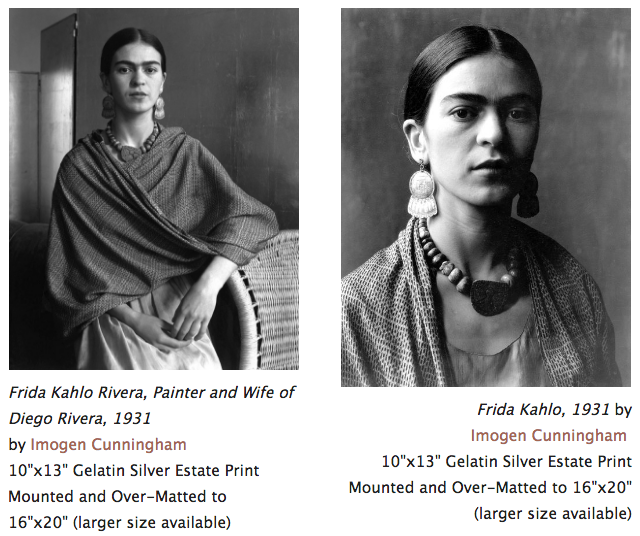 Frida Kahlo and Diego Rivera is the only exhibition in North America to feature the side-by-side works of both artists. The image below is featured in the exhibition and is available for private purchase through Ryan Gallery. Ryan Gallery offers collectors and connoisseurs of fine art photography images by exceptional 20th and 21st century fine art photographers. Their handcrafted works present the unique quality found in prints created using traditional and alternative darkroom techniques.